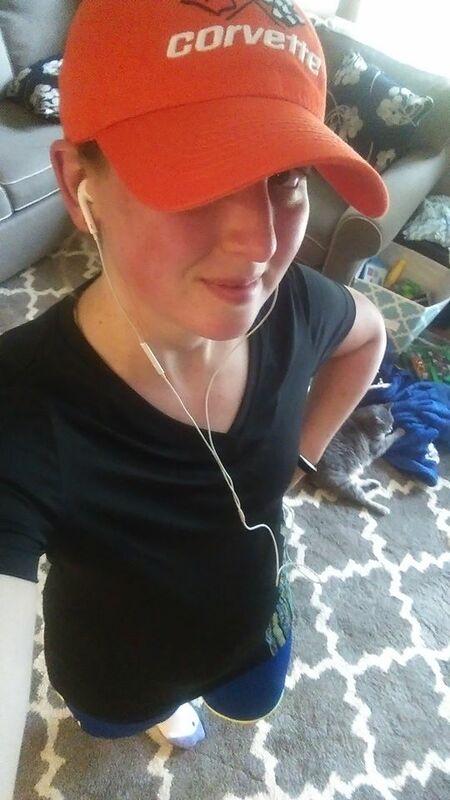 I decided I needed to start getting healthy again so I wanted to go for a run today while my mother-in-law had The Kid. I live in a small town and the only "gym" is the fitness room in the local Rec Center which I'm pretty sure was closed because there weren't any cars in the parking lot when I drove by, not even staff. I tried to put my phone in my arm band only to realize that the last time I used it I had my old (smaller) phone and it wouldn't fit any more. Next my running shoes were from pre-pregnancy... when my feet were smaller... because my feet grew a half size. I can't use my treadmill because the part that keeps the front bar that holds the monitor is missing, so I put the too-small-stuff on anyway and ran outside where I feared bears because we have those around here. So that didn't go like I imagined it in my head, but I did it. I got out there anyway and my lungs are still burning over an hour later and I kept thinking about pizza and not running anymore. So I did a happy dance to "Shake It Off" when I got home, I'm having pizza for dinner, and I feel like I've accomplished something. The hardest part is going to be doing it again.